Exposing the ungrounded pretensions of the mainstream philosophy of economics, Marqués’ carefully argued book is a major contribution to the ongoing debate on contemporary mainstream economics and its methodological and philosophical underpinnings. Even those who disagree with his conclusions will benefit from his thorough and deep critique of the modeling strategies used in modern economics. In recent decades economists have focused heavily on the development and use of models. In this scholarly but accessible book Marqués clearly describes the limitations of this approach and suggests alternative directions. 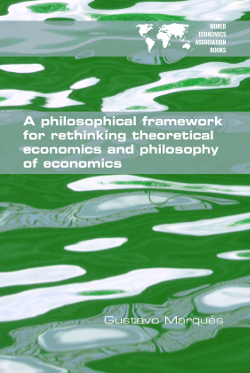 It is a valuable addition to the armoury of anyone concerned about the nature of mainstream economics.